This epic work tells the story of the Hemingses, whose close blood ties to our third president had been systematically expunged from American history until very recently. Now, historian and legal scholar Annette Gordon-Reed traces the Hemings family from its origins in Virginia in the 1700s to the family's dispersal after Jefferson's death in 1826. It brings to life not only Sally Hemings and Thomas Jefferson but also their children and Hemings's siblings, who shared a father with Jefferson's wife, Martha. The Hemingses of Monticello sets the backdrop of Revolutionary America, Paris on the eve of its own revolution, 1790s Philadelphia, and plantation life at Monticello. 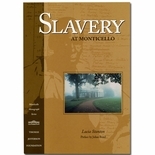 Much anticipated, this book promises to be the most important history of an American slave family ever written. Winner of the 2009 Pulitzer Prize for historical biography. Hardcover, 37 illustrations, 798 pages.